If someone uses my bike I cannot use it at the same time. Ideas, however, such as those expressed in this text, can be distributed and shared with others without ever running out of them. For example, we do not know less of the content of this text when the readers know more about it. But still: reading the text, comprehending it, finding mistakes that we might have made are intellectual efforts every time we accomplish them – activities that are both time consuming and full of preconditions, e.g., one is required to have learned how to read. Hence, distribution is not to be had entirely “free” and without any (basic) requirements. The text itself, however, and the information it contains, bears the particular feature that it can be copied (and, by implication, transferred, displayed, made available, in short: used) any number of times. Once certain (basic) requirements are established (e.g., a computer is at hand, an Internet connection is up and running), it is fairly cheap to duplicate a file containing this text – the effort becomes close to zero at some point. It seems an artificial and unnecessary restriction to stamp private property on ideas, files or other containers of information milling about – for the single reason that one is used to copying those files. From this, first of all, it may be noted that the quality of being property is ascribed to things. It is not a characteristic inherent to them, i.e., necessarily or naturally comes with things. Secondly, it is apparent that it is not allowed to make copies of some files, e.g., most music. It is forbidden, illegal, to distribute such files. With regard to files this seems, at first sight, rather absurd since their distribution neither changes nor damages their content. So, when it comes to intellectual property property appears differently. Namely, it appears more obviously that state authority restricts its use through patent, copyright and other laws. This way it becomes very distinctly recognisable what property actually is – a barrier. Moreover, scientific and technical results were products of collaboration long before the beginning of digital information processing. This is because even the smallest discovery or invention is based on a host of other discoveries and inventions; so many that the respective originators only know a fraction of the sources from which their content derives. Mathematical findings are based on other mathematical findings, software is based on ideas found in other software packages or relies on those packages directly.2 Thus, in order to make progress in research and development, access to what is already known is required. If nowadays intellectual property titles continuously are used and defended, i.e., if access and applicability of existing information is restricted by law, then this prevents the development of new ideas. Property appears as something arbitrarily separating that, which essentially belongs together. Not only is property a barrier to access to existing things or knowledge but even a barrier to the discovery and development of new ones. The concept of open source emerged alongside the development of mainframes, personal computers and the Internet and it also pushed these developments forward. The starting point for the open-source movement was the acknowledgement of some particular qualities of digital goods, especially their lossless reproducibility and the implications for software development that come with this quality. The movement’s protagonists knew how to take advantage of those qualities in their work and, hence, focused on their social requirements. It was a new phenomenon to concern oneself with this topic in the beginning of the field of computer science. From around the 1950s on, free access to and a de facto unrestricted use of all required information went without saying – at least with regard to software. This, anyhow, applied to people with the respective knowledge working at the relevant, well-equipped research institutions. Software simply was a free add-on that came with massive, expensive mainframes. Accordingly, it was openly distributed, studied and changed. Only from the mid-1970s, a market for proprietary software developed – i.e., software that one is not allowed to freely modify and distribute. Companies such as Microsoft started doing business by selling software and especially licences granting the right to use this software.3 People such as Richard Stallman – founder of the GNU Project, the best-known free-software licence, the General Public License (GPL) – stepped up against this new movement in order to retain the status quo. Stallman and his colleagues developed software together and their demand was that others should be able to study, use and distribute their products. Indeed, from the standpoint of well-planned production of useful things, this is a sensible position. Property – a standard for the world of physical things? The open-source/free-software movement started off with the GNU Project. It is important to this movement today that property relating to intangible goods has to play an inferior or different role than property regarding other, i.e., material, things. The reason for this – according to this movement – is to be found in the particularity of intangible goods themselves. 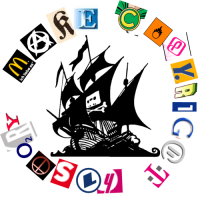 With regard to digital goods, the members of the Pirate Party complain that by means of a title of ownership access to information is “artificially” prevented, which goes against information’s “natural” feature of being copyable: “information wants to be free”. At the same time, they see no reason to make the same claim for material things. According to the logic of the party’s political programme those are “economical goods” quite by themselves. An assumption that seems so self-evident to the authors that they do not explicitly mention it. However, this distinction between material and non-material goods is not correct. The GNU Project claims that a difference between spaghetti and a program is that the former can only be consumed by one person, while the latter can be used by indefinitely many people. Hence, for the GNU Project the former implies the need for private property while the latter does not. Yet, under the regime of property it does not matter whether an owner actually uses her stuff or not. When people think about property in material goods they have their personal belongings in mind, things they need more or less regularly. But this is not the main point of private property – the way it works is much more far reaching and fundamental. For example, squatted houses get evicted to stand empty again, pieces of woodland are fenced in by their owners who live elsewhere or supermarkets lock their bins to prevent people from dumpster diving. The question whether someone could make use of something is subordinate to ownership, not the other way around. Property applies no matter whether the owner or someone else – e.g., in return for payment – uses it. Making successful claims to an absolute disposal over wealth of whatever kind and whatever quantity regardless of neediness – this is private property. Regardless of material or intangible goods – the regime of property does not care who wants to use what and how. Whereas it is true that only one person can eat ones fill given only one serving of spaghetti, under the regime of private property to own spaghetti is the condition for eating them, but the desire to eat them does not establish ownership. So, in this respect the material vs. non-material distinction is wrong. In one respect though, need does play a role – namely a negative one. Property in a machine indicates the exclusion of third parties from using that machine. One cannot enter into an ownership relation with a machine because a machine is not eligible for a legal relationship. It is the same with a disc containing a copy of a Windows operating system on it. One is not allowed to install it merely because this disc lies around somewhere unused. The particular function of a title of ownership – for the owner – is strictly that others may not use her property without her consent, even though they might want to and perhaps even be physically able to do so. What friends of free software notice and highlight with regard to digital goods, could also be observed with regard to ordinary material things: it is a fact that property is a relationship between people in regard to things, but not immediately between things and people. If no one else is there, it does not really matter what belongs to me or what I simply use. This only becomes relevant when others want to have access, too. Property is a barrier between those who want to use a thing and the thing itself, between need and the means to satisfy it. The guarantee for property in material things does not exist despite but because people want, need, require them. To own bread and all the more to own a bread factory is significant because other people are hungry. Otherwise, what would be the point of guaranteeing the right of exclusive disposal? Furthermore, with respect to reproducibility a rigorous contrast – material vs. intangible – also does not exist. It is possible to produce things and this means nothing else than to eradicate the detected scarcity. There is no such thing as a particular finite number of bread knives in the world, more can be manufactured. Indeed, one has to do something for it, but nothing simply is “in short supply”.6 However, in order to manufacture something one has to have access to the means of production which, again, are also privately owned. And in this regard – again – it does not matter whether one really needs them or whether they are currently in use.Yet, there is indeed a difference between software and bread knives: the contemporary means of production for software meanwhile are cheap mass products that most people have at home anyways. One can write a lot of state-of-the-art software with a five year old computer from a car boot sale.7 Thus, the production of software only requires an investment of education and labour time, while, when it comes to, e.g., bread knives one is excluded from the means of production at the level of the state-of-the-art. In order to be able to produce bread knives one would indeed need the corresponding factory, and this wants to be bought first. The means of production are not simply “in short supply” either, but can also be produced, by and large. One is excluded from the means of production as their purpose for the owner is access to the wealth of society in the form of money. The owner knows she has to come to agreements with others in order to get their products. Hence, she uses her factory – as well as people who do not have one, i.e., workers – to manufacture something that she can sell. With the proceeds she then can either buy goods for herself or she can reinvest in workers and means of production so that another round of fun may commence. In a society based on the division of labour, one is dependent on others and their products, be it intangible or material goods. Because in this society this trivial fact does not lead to a self-conscious interaction of producers but rather the regime of property prevails, one is excluded from the products of others and therefore is required to exploit their needs to one’s own advantage. This absurdity can be put differently: it is precisely because one is dependent on the others that one insists on the exclusion of others from what one owns. If everyone gives only if given an equivalent in return, then certainly it makes sense to deploy what one has as means of access to the stuff under the control of others by matching their exclusion with one’s own. Property is characterised by exclusion whether it concerns material or immaterial goods. The free-software movement disagrees though – and it shares this fallacy with the majority of people. In other words: the political wing of the free-software movement insists on drawing a strict distinction between digital and material goods in order to criticise the regime of property regarding digital goods. Yet, it is exactly their line of argument that reaffirms the exclusion from the things people need: the regime of property. The slogan “free software today, free carrots tomorrow” of radical free-software activists might sound catchy, the reference to the free-software movement’s criticism of property, however, takes up the false idea that carrots can never be free and for all instead of critiquing it.